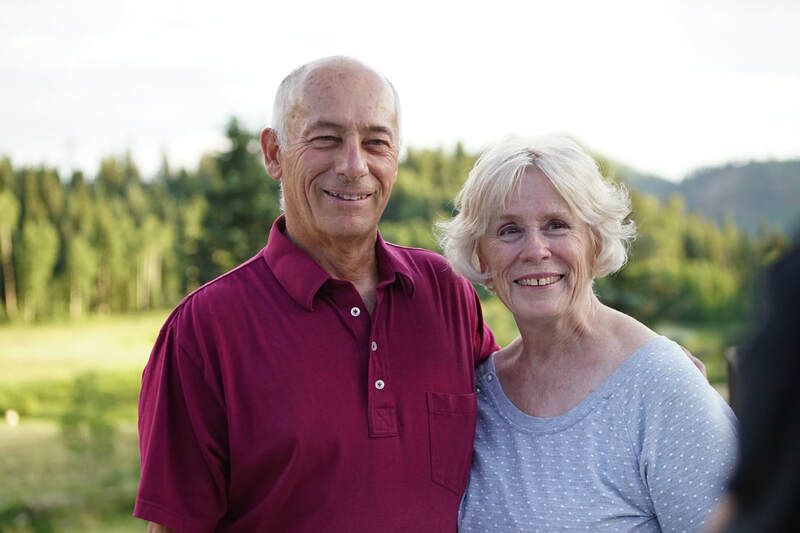 Russ and Linda both became Christians during their college years at Colorado State University in 1964-1968. They learned how to share their faith, follow-up new Christians, lead various Bible studies, and direct a campus ministry. Upon graduation, they were married and spent the next 14 years launching, developing, and maturing new ministries on seven campuses with Campus Crusade for Christ. They also worked two years during the late 70's in an "underground" ministry behind the former Iron Curtain. After returning to the U.S.,God led them back to Durango, CO in 1985 to open yet another ministry, Master Plan Ministries. Give to the Akins's ministry securely online using your credit or debit card by clicking the "Donate" button above. This will take you to our Paypal giving page. All gifts to Master Plan are tax deductible. You will have the option to make a single donation or designate your gift amount as a recurring donation charged to your card each month in whatever amount you choose. On our Paypal giving page, you may log into your Paypal account before you submit your gift. This will enable you to adjust any recurring gifts through the Paypal website should the need arise in the future. If you don't have a Paypal account, you will be able to make a gift as a guest.